Nothing beats having a healthy, happy dog. We know that because we love dogs as much as you do. For almost 70 years we’ve been breeding, working and showing dogs, and applying our knowledge of herbal medicine to their health and nutritional needs. 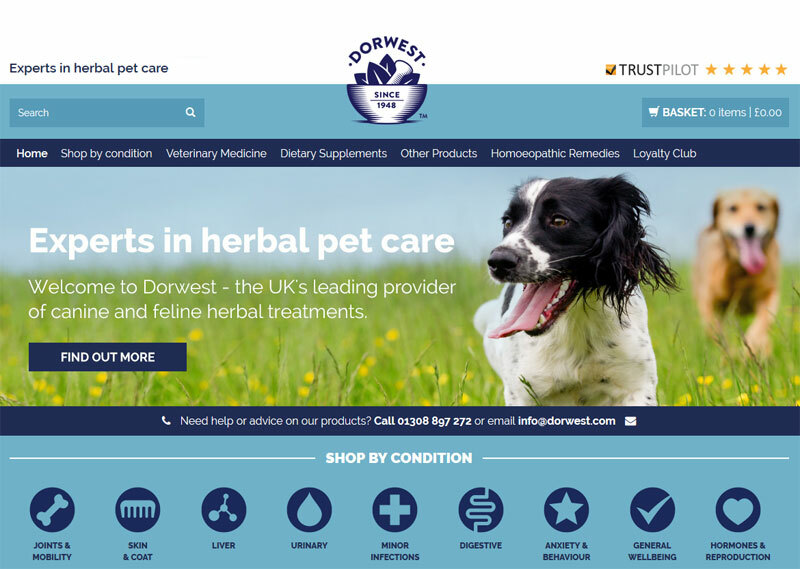 We’re now in our third generation at Dorwest, where our insights have made us the UK’s leading provider of canine and feline herbal treatments – and the only manufacturer of herbal medicines authorised by the Veterinary Medicines Directorate. In more than 20 countries around the world we’re helping dog and cat owners keep their pets healthy and content. They come to us for herbal treatments that work in harmony with their dogs – the young and the old…glossy show dogs and lovable crossbreeds…active, outdoors types and contented, fireside stay-at-homes. A commitment to medicinal rigour underpins everything we do. We prepare our treatments to pharmaceutical standards using active ingredients taken from the whole plant. No second-stage extracts for us: ours come directly from the leaves, stems, roots and first pressings of oil – and only from herbs that meet our own stringent quality standards. The result is a comprehensive range of herbal veterinary medicines, herbal dietary supplements and homeopathic remedies that help keep your dog or cat’s life in balance. Away from the lab and the white coats, we’re typical dog lovers – keen to chat with fellow dog owners and delighted to offer advice on anything from supplements for an active lifestyle to treatments for travel sickness, phobias or ageing joints. We love being part of that great dog-owning community, and feel privileged to be able to share our expertise with fellow dog enthusiasts. Getting under the skin of a brand; that’s what we do best.